I subscribed to The Vegan Kind box a few months ago and have so far been absolutely delighted with every box I’ve had. This month’s box has just arrived so I thought I’d share the contents of it with you (just the details not the actual contents – they’re mine!). I’ll follow this up with a review of each item once I’ve used them. The box has six items along with a recipe card (as usual) and a discount code for a vegan online butchers, along with discount codes for the websites of four of the brands featured in the box. 10p of this month’s box is being donated to Teen VGN’s Summer Camp and the box content leaflet has some information about that project. I’m not going to list the prices of every item as, to me, The Vegan Kind box is a way to try new products, not get things cheaply, although the prices listed for the items total more than the cost of the box excluding shipping (£10). 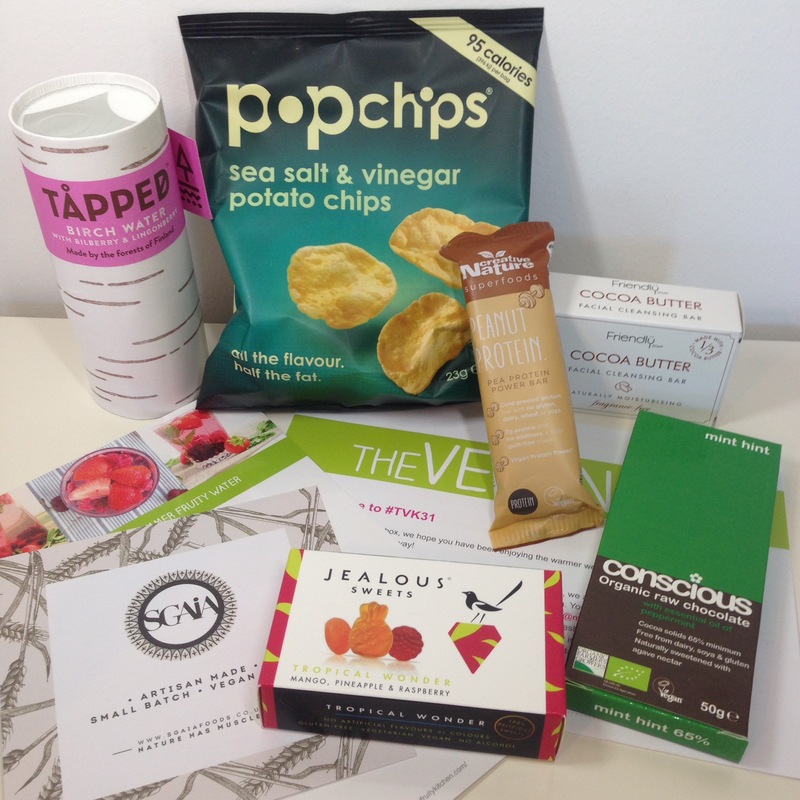 I’m rather excited to try all the yummy items from this month’s box, especially the peanut bar and mint chocolate. I love the peanut meridian bars so I’m hoping this will be a similarly yummy peanutty option! Do you subscribe to any monthly boxes? What are your thoughts about them? I’ll do an update later in the month to let you all know what I thought of the items. Let me know if you’d like different information in future box reviews. Would you like to see individual prices? Is there anything else you’d like me to include? This month is TVK beauty box month too so expect a post on that when it arrives!